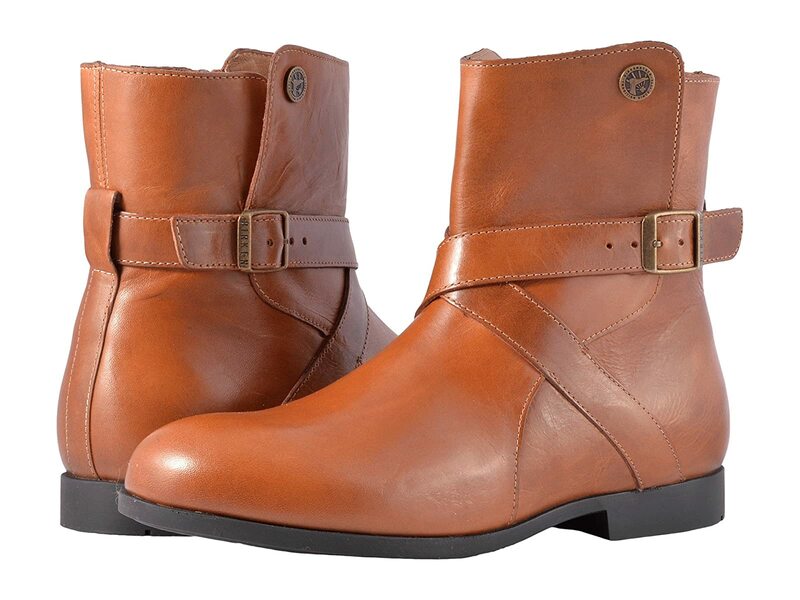 The sweater-weather season isn't complete without the perfect pair of boots and the Collins fits the bill! Premium leather upper features a durable patina finish and a round toe. Decorative wrap-around strap with buckle closure. Features a removable, suede-lined, contoured cork footbed designed to mold to the shape of your foot. Features pronounced arch support, a deep heel cup, and roomy toe box for added wiggle room. Durable rubber outsole provides traction and support.